What can you do in 25 minutes? Watch an episode of The Big Bang Theory perhaps? Make a packet of Maggi? Well, yesterday in 25 minutes, a conversation with Saurabh Aggarwal inspired me beyond anything I could ever imagine. You may be a dreamer, and you're not the only one. But do you chase those dreams down, tackle them and make them your reality? Saurabh did. After quitting his job at Flipkart, Saurabh went on to train for a year before earning the title of the Ironman in Kalmar, Sweden. He has now set his eyes on scaling the Big Kahuna, or as he refers to it, Mission Everest. Have we caught your attention yet? Read on and get inspired! What do you think of the backpacking culture in India right now? Right now, it's definitely growing in the right direction, although it is still not mainstream. Our culture is such that we are not very spontaneous, nor are we very adventurous and we take our planning a little too far. But the youth is deviating from this, and I think that's a good thing. Especially solo travel and solo backpacking, which is such a great way to explore a place. That way you get to know the city, the locals and the culture because you have no distractions at all. In fact, now there isn't much of a stigma associated with travelling solo either and people are getting more and more confident to venture out on their own. I think Zostel is doing a great job in this area, because they hit the spot in two main criteria: affordability and no dearth of facilities. For bachelors, this is perfect as they need not shell out the big bucks and they also get exposure to the world, in the form of travellers from various other countries. It would be great if Zostel can maintain a balance between metro cities and places that are more remote like the Himalayas or Uttarakhand. You won the Ironman title in August 2014. What was the experience like? I fell in love with sports in college after going on a couple of treks with the trekking club. From then on, my love just grew stronger. It made me quit my job at Flipkart. It took me to the Himalayas and Kashmir where I did courses in mountaineering and paragliding. I was pursuing my passion for endurance sports, and I loved it. That's when I stumbled upon the Ironman Triathlon, in order to complete which, you have to swim 4 km in the Baltic Sea, cycle 180 km through the city of Kalmar and run a full marathon, which is 42 km. At that point, I did not even know how to swim but where there's a will, there's a way, and moreover, I knew I wanted to do this. I spoke to a couple of Ironmen from India and registered for the event in August 2013. In the one year that I had, I moved from Bangalore to Gurgaon to Mumbai to Pune to train. I did face some challenges in India - mainly the lack of resources and the lack of training partners. But I overcame them and trained my best. Once I reached Kalmar, honestly, I was more excited than nervous. All I knew was that I wanted to finish strong, and not just finish, so to speak. There were 2500 participants from 30 countries there and I was the only Indian! 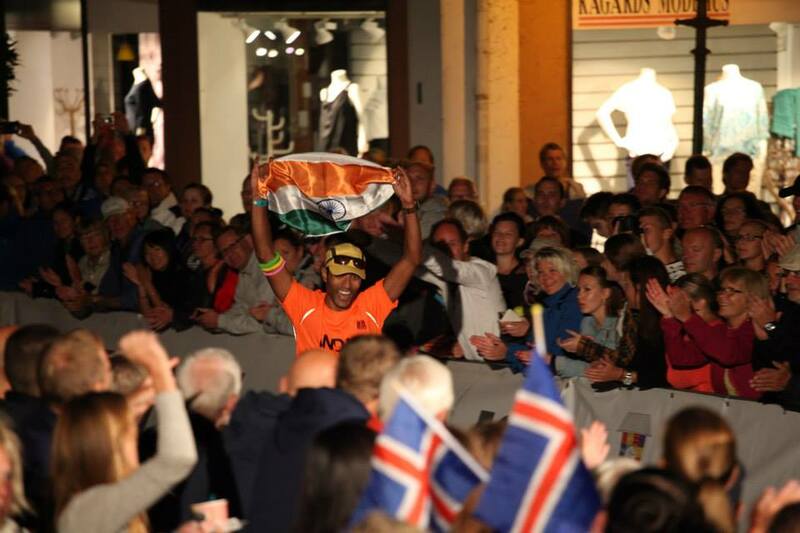 The people of Kalmar were beyond nice and they kept cheering me on, screaming "Come on, India!". That was my fuel to go on. I had 16 hours to complete the entire triathlon, but I finished strong and smiling at the finish line. I won the Ironman title and it was an amazing experience! There are not many Ironmen from India, but it is a small and close-knit community. And I am glad to be a part of it. What is your dream for the scene of endurance sports in India? Well, the scene is minuscule. You can count on your fingers the number of people who dabble in this, but it is definitely expanding. Thanks to the coverage in both traditional and social media, motivation is quite accessible. I think motivation is the key, and it needs to get multiplied. See other people, do it yourself, inspire others and so on. I agree that resources and few and far between in our country but it's not impossible. Our biggest challenge is the way we manage our time. In other nations, people go out for a run when they have the time to do so. In India, 24 hours in a day is not enough to do all the things we want to! The attitude and lifestyle needs a slight adjustment and that's it. The running and cycling communities are definitely growing so that's a good sign. I am hopeful and optimistic! As they say, the human spirit is indomitable. 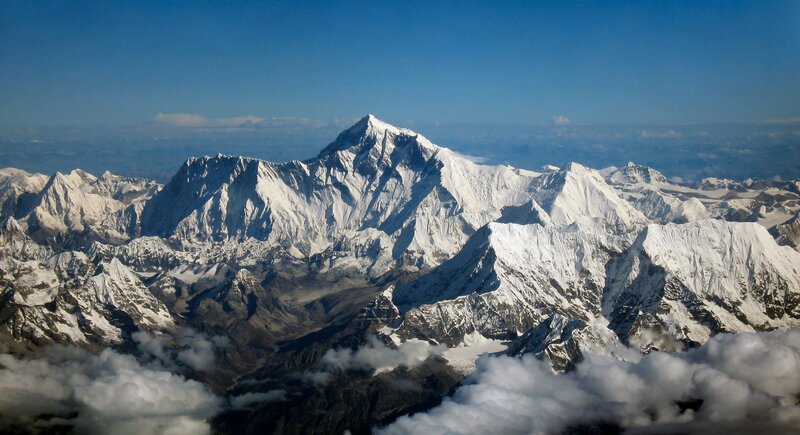 What's next after the awesome Mission Everest? Come August, I will be participating in the La Ultra race which is happening in Ladakh. The category I have chosen is 111 km and I'll have 24 hours to complete it. In fact, it falls on the same day as the Ironman triathlon, which is such a great coincidence! It's going to be quite a challenge. Last year, no one completed the race in the stipulated timing. This year, I want to complete it. Although physical training is paramount, mental training must not be discounted. If you're ready in your mind, you'll be ready for anything. I don't want to rest. I don't want to stop pushing. I don't want to lose the high of the mountains. I will keep going back for more after Mission Everest. That's where I belong. Do you want to contribute to Saurabh's vision? Head on over here and be a part of Mission Everest!